It is exactly 10 years since the Internet Watch Foundation (IWF) was set up by the internet industry to combat potentially illegal content online. The organisation was formed following an agreement between the government, police and the internet service provider industry, that a partnership approach was needed to tackle the distribution of child abuse images online. In our first year we handled 615 reports but we have processed more than 27,000 reports already this year. Over the 10 years we have traced more than 31,000 websites that appear to contain potentially illegal child abuse images. In the vast majority of those instances we have forwarded reports to international hotline partners and law enforcement agencies so they can take action to have the images removed as soon as possible. This figure is testament to knowledge of our work, however we still have much to do to in terms of raising a much broader awareness of our role and remit amongst online consumers and in sharing the UK's model of success around the world. It is with this in mind that today sees the launch of our first consumer advertising campaign followed by a national series of conferences. We are aiming to make it clear to all online users that we exist to take reports of potentially illegal content that anyone accidentally stumbles across online. When I joined the IWF in 2002, internet access and usage seemed to be the exception rather than the rule. Today it wouldn't be stretching a point to say that the internet is almost an essential part of our daily lives with so many different technological devices now available to give us access to the web. The proliferation of abusive images of children over the internet has certainly brought with it new challenges in many countries but the UK model of self regulation, with the UK online industry working with other key partners to have these images removed as soon as possible has been a significant achievement. Such has been the success in the UK that many other countries have now followed suit and created their own hotlines to replicate our model. The decade the IWF has been in operation has shown what a marvellous innovation the internet has been. It helps bring friends and families closer together through improved communication channels and it has become an essential knowledge tool through its easy and immediate access to information. We continue to see innovation with new services and technologies developing on a regular basis with user generated content becoming more and more popular everyday. Broadband is gradually becoming the standard at home and work and mobile web is a reality. The roll out of these new technologies brings with it increased broadband speed and greater online storage facilities. Services which allow the sharing of higher quality video may in turn lead to different types of potentially illegal content being swapped. Larger storage systems being freely available may also lead to more content being stored on remote servers rather than the electronic device that uploaded the content. As criminals use increasingly sophisticated techniques to avoid detection, it is vital that we continue our work with all our stakeholders and partners to share knowledge, expertise and best practice if this problem is to be defeated. 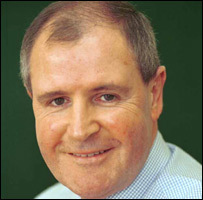 When the IWF started in 1996, it was the only organisation of its type in the world. The success this partnership model has had of working with government, industry, the police and public has led to many other countries taking a similar approach. Today, 23 other countries around the world have hotlines to which the public can report their inadvertent exposure to potentially illegal child abuse images. The success of our model in the UK is clearly shown by the fact that reported child abuse content hosted in the UK, which was 18% in 1997, has been reduced to 0.2% so far in 2006. On the now very rare occasions that content is discovered to be hosted in the UK, the internet service provider acts swiftly to ensure the content is removed, whilst the police are quick to investigate the publisher. This situation has not happened by chance. It is down to the determination of all our stakeholders to confront the issue and adopt policies and practices that make the UK a hostile place for anyone seeking to distribute or view such images. By its very nature the world wide web presents us with an ongoing challenge. 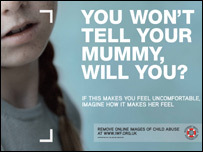 Despite having nearly eradicated the hosting of online child abuse images here in the UK, this material is still available elsewhere and can be accessed from the UK. Moving forward it will be a priority for us to explain to other nations the procedures we have worked out with our industry stakeholders and seek the co-operation of international partners to substantially cut the availability of child abuse material wherever it is hosted. As regards commercial child abuse websites, we are calling for more of an international joined up approach along the lines of a body which transcends borders and police jurisdictions, to combat those websites which 'hop' from country to country to avoid detection.